With many lines offering cruises out of Vancouver you may be wondering what all the fuss is about. Isn’t any cruise port like any other cruise port? Well, how many cruise ports offer beautiful mountainous views, the expansive Lion’s Gate Bridge and the friendly Canadian attitude to go along with it? Cruises from Vancouver have all that and more. Here are the 7 reasons why you should choose cruises from this fabulous port. 1. Cruises out of Vancouver offer you a major city that is easy to access from points around the United States and Canada. As one of the largest cities in the country it offers efficient airports, taxi service, rental cars and impressive highway system, getting you to and from the port stress free. 2. The access to Alaska’s best ports of call is a breeze from Vancouver. A Holland America Alaska cruise for example will take you on 7 day round trip that visits Tracy Arm Fjord, Glacier Bay, Juneau, Skagway and Ketchikan. 3. If you want to go to Hawaii but don’t want to travel to Long Beach to board the ship, Vancouver is the alternative departure port, close to home for many and allowing you a coastal cruise down the west coast along the way. 4. The cruise port in Vancouver is close to all the major attractions in the city, including world famous Stanley Park and the beautiful downtown with its world class accommodations and many restaurants showcasing international cuisine. 5. Alaska cruise deals from Vancouver can be had close to home for those living in Seattle and the Pacific Northwest. Some cruises leaving Vancouver will end in Seattle, making it even more convenient for US cruisers. 6. 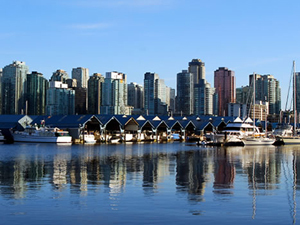 The city is a great destination in itself for a vacation, and when you choose cruises out of Vancouver you can treat yourself to a few days pre or post cruise to take in the sights in this metropolitan city. 7. The friendly locals. Whether you are taking a Royal Caribbean Alaska cruise or a simple cruise from Vancouver to Seattle, anywhere you go you will meet Canadians proud of their city. North or South, the city of Vancouver is the gateway for amazing adventures at sea, regardless of your ports of call or the cruise line you choose to get you there. From single nights at sea to world circumnavigation tours and everything in between, the port of Vancouver is a perfect departure port; close to home, close to attractions and a world class city that shouldn’t be missed. Do yourself a favor and check out cruises out of Vancouver today, the world awaits!